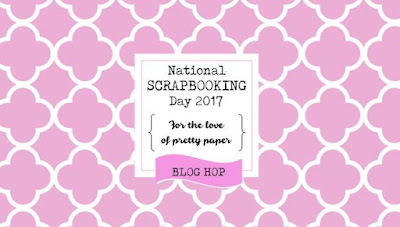 To be in with a chance of winning the Blog Hop prize you will need to comment on this post (and on all the blogs in the hop) and when you have completed the hop, return to the Blog Hop thread on “For The Love Of Pretty Paper” and leave a comment to let us know you have been all the way around the hop. Visitors who leave the same (or seen to be the same by the Organisers) comment on all the blogs will not be eligible for the prize. The Closing date for Blog Hop entries is Monday 8th May at 10pm. Only Uk addresses are eligible for the prize due to postage costs. Good Luck! The theme for the Blog Hop is “Favourite Technique” and my favourite technique at the moment is using my Silhouette sketch pens to drawn a design onto white card, and then colour that design with paints. I'm using the Imagination Crafts 'Starlights' paints a lot right now as well as two sets of watercolour paints, one regular and one pearlescent. Don't own a cricut or silhouette but that title is lovely! Try googling a title that you want, print it off and colour it in! I don't own a silhouette so am not entirely sure how you did this. Do you have a YouTube clip showing it in action? I love the big title, will definitely give it a go. I like using papers as a 'frame' think I will do it more. Omg I love This!!! Great page! I do most of my scrapbooking on 12x12 with a cricut explore which I think is similar. I usually do journaling with it but love this idea. I'm looking forward to trying out this technique. Thanks for sharing. It's an absolutely 100% essential bit of kit! I don't have access to a silhouette machine but I can see that using a big title as the focus can be very effective. Always worried about using paints on my layouts but this looks lovely, may have to give it a try. This is a lovely idea. Love this. Thankyou for sharing your talent. Can you tell me though did the silhouette cut and colour the sentiment all at once or just cut the sentiment and you coloured it in. Sorry for asking but everyone uses it for different uses and I'm trying to see what things the machine actually does lol. Hi again Niki. I understand what you said now lol. I haven't heard of the sketch pen before. What a fantastic idea. I suppose you could use the pen to do the outline, then colour it in, then pop it back in with the blade and it it out if you're no good at fussy cutting lol. Thankyou for explains it to me. X. Love the layout, I have a silhouette but have never used the pens for it, might give it a go now! Just beautiful! I love a visit to your blog, Niki. What a great way to create a title and a way of using the Silhouette I haven't seen before. Im loving the look of the text! loving the colours on this page, but sadly I don't have a machine to do this with and my writing is AWFUL! Wow your drawing is amazing, super page, says it all. Wow, great way to use the silhouette, very inspiring! Lovely fresh looking page. I'm a big fan of Dear Lizzy as well. Thanks! This is something I definitely want to try with my cricut. Your layout is lovely - I've really enjoyed seeing your work over the weekend. Wow the title looks fab! I think something might be going on my chrimbo list! I really should try this - haven't had my cricut out of the box for over 2 years! I've never used my Silhouette this way (in fact I hardly use it at all - must rectify that situation)! Fantastic effect wish I had a silhouette! Fabulous layout, Niki, I love a scrap page with a large title! Love that large title - so striking. Wondering if I need sketch pens as I've seem a few interesting pages using them now. I don't have a silhouette machine but would love one! I think I'll just stick to normal media scrapping for now!